On this day (Aug 29) 1833, the Mills and Factory Act was passed in England, establishing measures for improving the “Health and Morals” of child laborers. The Act was the first effective legislation empowering national inspectors with unlimited and unannounced entry into factories. Among the important changes made we…re: No one under the age of 9 years old could be employed. Children ages 9-12 could work no more than a 48-hour week. Teenagers could work 68-hour weeks. Provisions were also made for education and health, largely the result of testimony given by young workers before a Parliamentary committee investigating violations of earlier Acts. Although the concept of child labor and regulations like these are offensive to people today, one must remember that in 1833, child labor was extensive. For years, orphans had been placed in workhouses rather than forced to live on the streets. Children from poor families were often sent to workhouses as well. 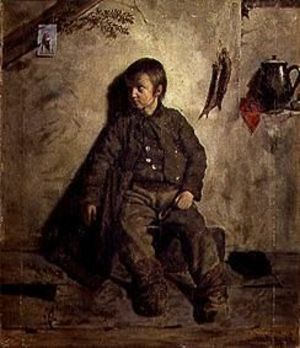 Their plight was often featured in literary works by Charles Dickens. William Blake’s poem, “The Chimney Sweeper” (1789) told the story of a small child whose father sold him to a workhouse after the death of his mother, and who was then forced to train as a chimneysweep. Sadly, children aged 4-5 were often sold to clean chimneys due to their small size. Consequently, the Mills and Factory Act was the beginning of strict regulations that brought about changes both socially-conscious authors would have not only welcomed, but supported.